Last weekend Lucas and I went on a #WalkWithWynsors at Brockholes nature reserve in Preston. We were invited by Wynsors shoes to meet up with some other bloggers for a guided walk with a volunteer from the Wildlife Trust followed by some lunch. Wynsors were also kind enough to give* me a pair of Bogs wellies. I hadn’t heard of Bogs before but I am seriously impressed. They are true to size, comfortable, haven’t rubbed once and they have handles! 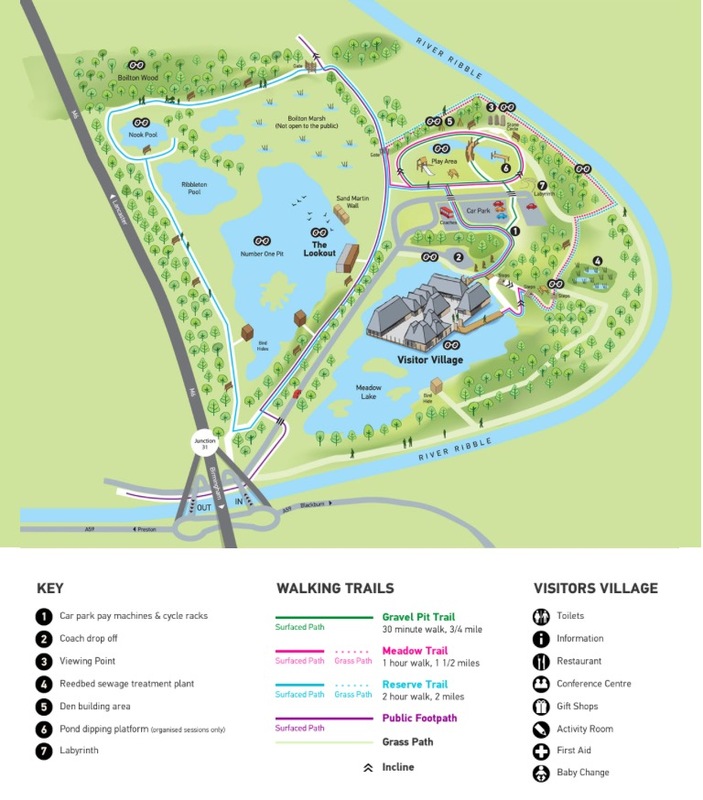 Brockholes is set on the site of an old quarry which is now a 250 acre reserve with a network of trails and hides. You can also explore the woods or enjoy the lakes on site, which have all been specially designed to attract all kinds of wildlife. There is also a spectacular floating Visitor Village bringing you as close to nature as possible. The Visitor Village hosts a Welcome Centre, an activity room, the lakeside Reed Bed Restaurant, The Nest gift shop and Coots, where you can get a quick snack or ice cream. On the day we went it was overcast with light showers intermittently but it didn’t spoil the walk at all. I have actually been to Brockholes numerous times as I used to visit weekly with my old job before I was pregnant. 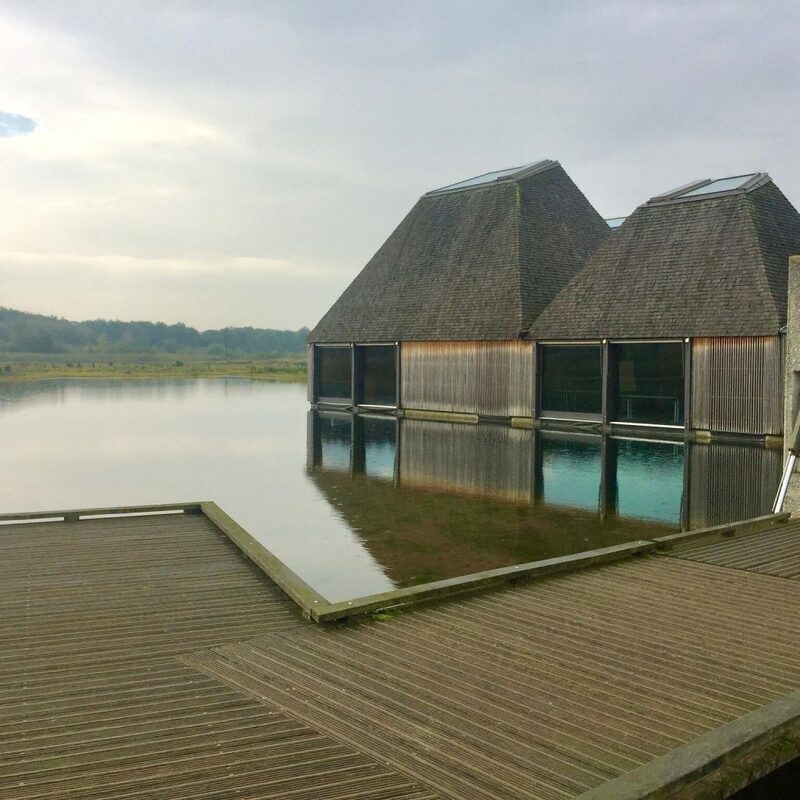 As long as you are dressed for the weather, Brockholes is a fab place to visit as you can vary your walks according to how you are feeling and how long you want to be there for. 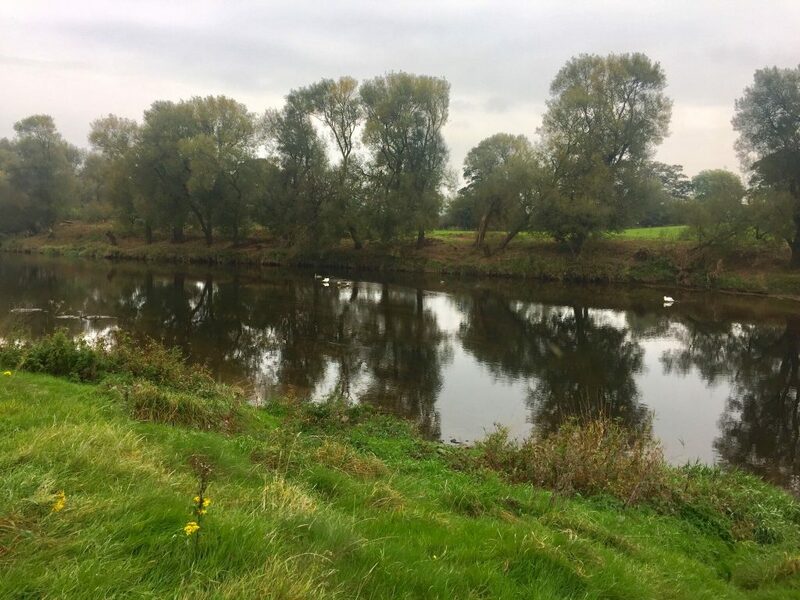 Our walk was approximately a mile and a half which took us through some fields, along the River Ribble to the play area and back to the Visitor Village. I thoroughly enjoyed meeting the other families and having a walk. Lucas fell asleep during the walk and missed going on the park due to this. The park is great though, they have catered for all ages including a climbing forest, a miniature gravel quarry for scooping, digging and transporting fun, a bouncing flower, play hut, swings, balance blocks, chain path, see-saw and zip wire. « Blogtober #25 – What Superpower Would I Like? Looks like a lovely place to visit. 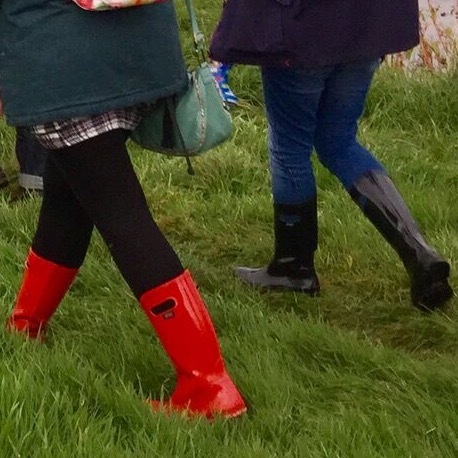 We are huge Hunters wellies fans here. Looks like a fab day! What a lovely walk 🙂 the pictures make it look so pretty! This does sound like a lovely place for a walk. The visitor village sounds so cool and it’s nice that there are a few different trails people can try. This would be a lovely family day out with a picnic. What a beautiful spot for a walk. We have been really enjoying lots of autumn walks. It looks like a gorgeous place to spend a day. Amazing photos! What a gorgeous day out – love getting out in the dryer weather! Looks like you had a great (but wet?) day out! I do love walking adventures like this and I bet my kids would LOVE this place. What a lovely place to go for a walk and how cool are those wellies! Great idea to have the handles on them! Looks like an incredible place to visit with the family, a lovely day! Looks like you had a good time. Thanks for giving me a day out idea. This looks an absolutely beautiful place to take a walk. It has been a beautiful Autumn for walks. 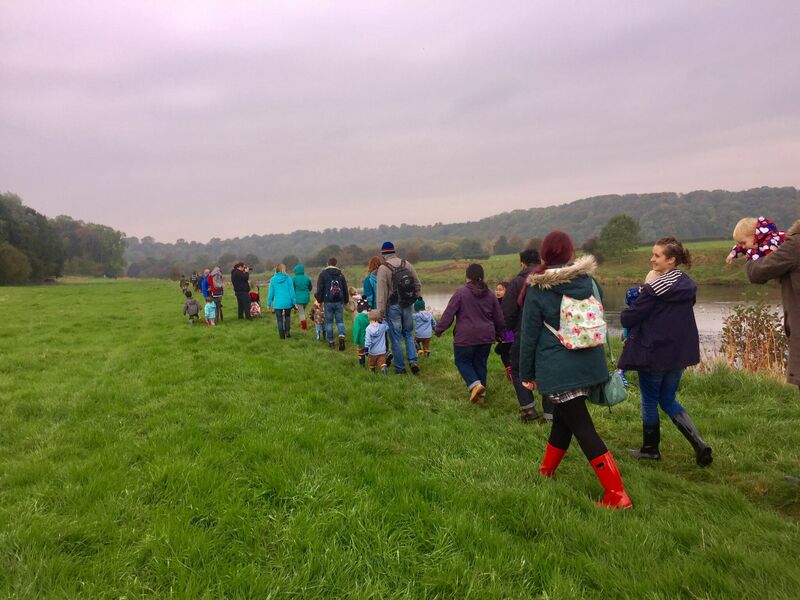 This looks like a good walk, and lovely to meet other families for a chat, too. 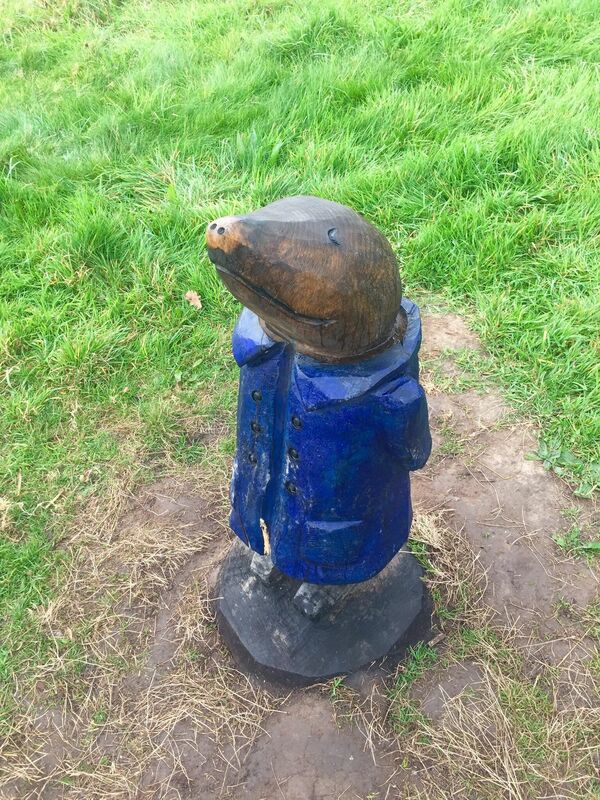 I do like that little mole figure – were there any others? That first photograph is stunning.